Half a million Britons have arthritis of the big toe. Now a trial is testing whether a new implant can help. 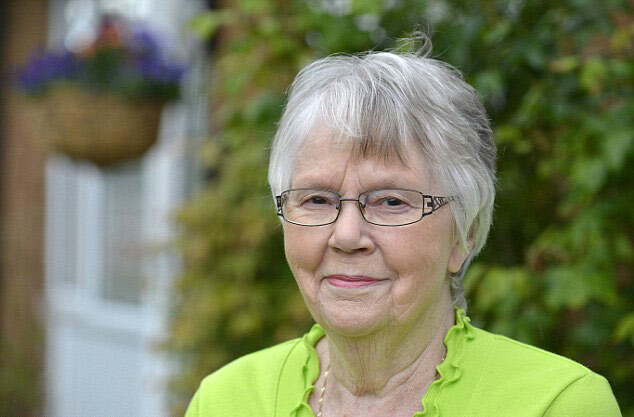 Anne Tigwell, 78, a retired doctors' receptionist from North Yorkshire, had the operation last November. She tells CAROL DAVIS her story. As I live in the Yorkshire countryside, I've always enjoyed taking daily walks into the hills. But two-and-a-half years ago, this became more difficult - the big toe on my left foot had begun to ache unbearably. The pain was there nearly all the time, but especially when I went walking, so I had to take shorter routes and take paracetamol afterwards. I assumed it was arthritis - I already had it in my knees and thumbs - so I started rubbing anti-inflammatory cream into the joint several times a day. But it was getting worse. After a year, I saw the nurse practitioner at my GP surgery, who agreed I had arthritis of the big toe. She recommended ice packs or warm flannels, as well as the painkillers and anti-inflammatory cream I was already using, but nothing really helped. Fractures of os peroneum are rare and can be missed. A presence of os peroneum and its fracture should be considered in the differential diagnosis of un-explained lateral foot pain. We report a 45-year-old diabetic patient who developed a lateral side foot pain after trauma, gradually worsening over a period of 6 months, and made a delayed presentation to the clinic. The physical examination, radiography and magnetic resonance imaging showed a displaced fracture of an os peroneum and peroneus longus tenosynovitis. She was managed conservatively with a satisfactory outcome. We report this case to increase the awareness among clinicians about this relatively rare condition and also review the role of conservative treatment for this. A revolutionary new operation is set to transform the lives of arthiritis patients in the North East. Osteoarthritis is the most common form of arthritis in the UK with around one million people visiting their GP about it every year. Osteoarthritis of the big toe is the second most common form of the condition, affecting the mobility of suffers, who can experience a great deal of pain and stiffness. The condition in the severe stage totally restricts movement of the toe joint and makes it very difficult for ladies to wear certain types of shoes such as high heels. Until recently the only resolution for extreme cases was to have the big toe joint fused together. But although the procedure reduced pain it took away flexibility in the foot which could make it difficult for the person to walk comfortably ever again. 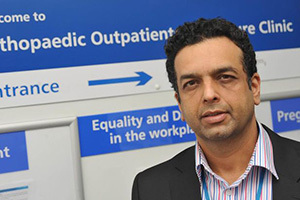 Now consultant surgeon Rajiv Limaye of independent NHS provider Tyneside Surgical Services (TSS) based at the Queen Elizabeth Hospital in Gateshead, is carrying out an alternative procedure - big toe joint replacement procedure. Orthopaedic Product News magazine is delighted to welcome Rajiv Limaye, pictured, on board as consultant editor for the magazine. Rajiv Limaye is a consultant orthopaedic and trauma surgeon, working for 11 years as consultant in the UK, mainly specialising in the disorders of foot and ankle. Mr Limaye began his medical training in India where he qualified as a medical doctor and specialist orthopaedic surgeon in 1993. He then went on to complete a further 10 years of junior and senior registrar level orthopaedic and trauma training in Liverpool and Oswestry. 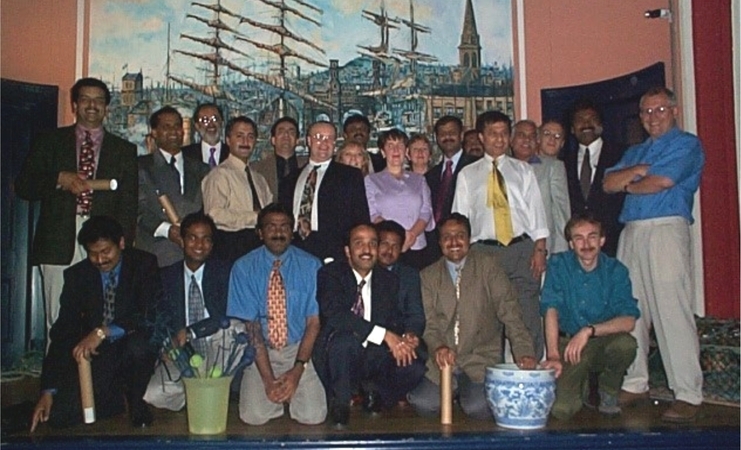 He undertook fellowship level training in foot and ankle surgery, leading to entry into the specialist register in the UK in 2005. Mr Limaye was appointed as an NHS Consultant in orthopaedics and trauma surgery in 2005. His current post is at the University Hospital of North Tees, Stockton-on-Tees. He has subsequently taken many visiting fellowships in many centres around the world, specialising in his techniques. A woman who feared she may never walk properly again has been cured thanks to joint replacement surgery. Anna Lynch’s left big toe was so painful at its worst that she feared she may never walk freely again. But thanks to surgery she had at North Tees and Hartlepool NHS Foundation Trust, the Sunderland woman is now back to full health. 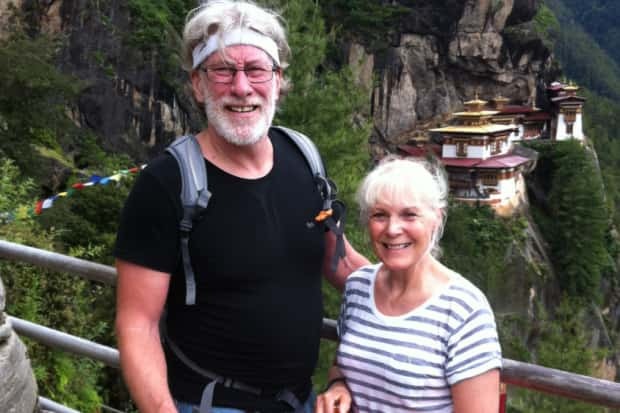 And she has even trekked 10,000 feet up the Himalayas just months after her operation. She said: “I have always been a really active person. I’ve run lots of half marathons, I power walk and I cycle a lot. But over the last few years I have had this pain in the big toe on my left foot. 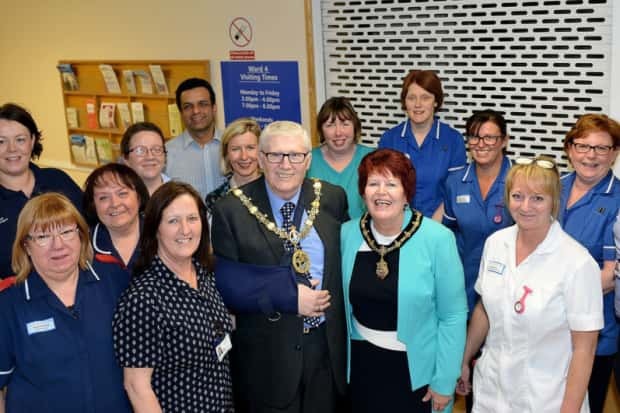 You’re a credit to the NHS - that was the message from the Mayor of Hartlepool to a caring team of hospital staff. And it came from Hartlepool Borough Council’s Counillor Rob Cook as he made a return visit to the unit where he had received excellent care. Coun Cook underwent two joint replacement operations at the University Hospital of Hartlepool. He always wanted to say thanks for the treatment he received while he was a patient - and he did it in person. The Mayor of Hartlepool, along with the Mayoress Mrs Brenda Cook, visited the elective care unit and found out how it worked. They met with the North Tees and Hartlepool NHS Foundation Trust chairman Paul Garvin who introduced them to the general manager for elective care, Rowena Dean. Suffering with a foot or ankle problem? This free event is for anyone who is suffering from foot and ankle pain and would like to explore their options for treatment.